Injecting a decade of experience into CCS technology. 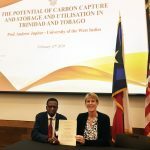 By reaching for CCS in the near term, Trinidad and Tobago has the greatest chance to meet the country’s climate targets and the potential to make a dent in global emission reductions. With this cooperation and the knowledge and skill transfer between the two universities, it seems more than just possible. It’s well on its way. 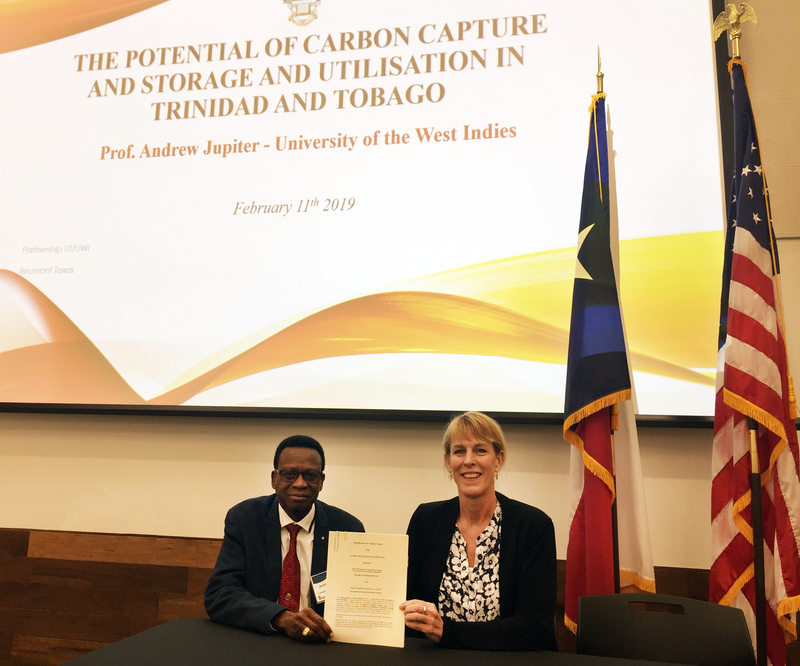 Together as part of an international research collaboration, Dr. Katherine Romanak and Professor Andrew Jupiter, representing the Bureau of Economic Geology at The University of Texas at Austin (UT) and the Petroleum Studies Unit at the University of the West Indies (UWI), St. Augustine, respectively, just made their partnership official with a memorandum of understanding (MOU). © 2019 Gulf Coast Carbon Center Blog, all rights reserved.